Are your kinds going back to school soon? These adorable Unicorn Lunch box notes are the perfect lunchtime surprise! My seven year old daughter is going into second grade and right now, she is all about Unicorns. She has a Unicorn Backpack, unicorn bedding, adorable unicorn maxi dresses, and more! 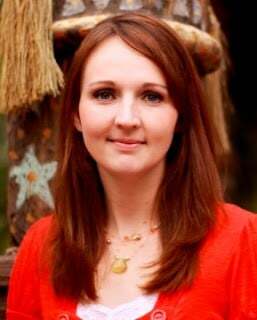 She recently celebrated her birthday and you guessed it– it was unicorn themed birthday party! I love this though, because she is one of the most magical kids that I know! Unicorns are so magical and inspire so much fun imagination in kids! 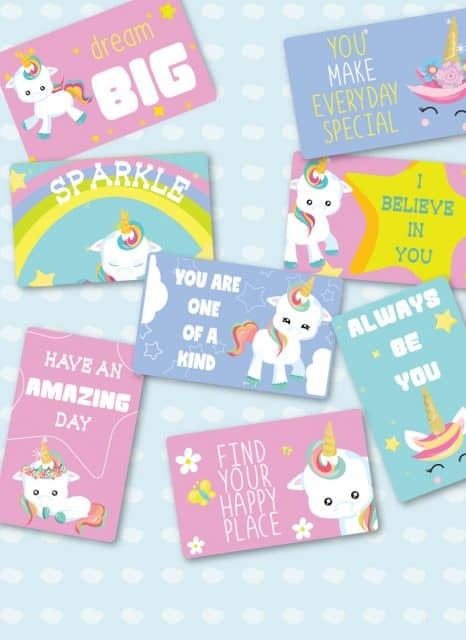 These free lunch box notes are a fun way to put a smile on the face of your Unicorn loving child! If you are not familiar with lunch box notes– you are going to LOVE them! There are so many adorable styles on Pinterest! They are very similar to a kids Valentine card but they are for every day use. All you do is print up your free lunch box notes, cut them a part and add a special note to your kids lunch box. You can add one every day of the school year or just on special occasions. Kids definitely love finding a lunch box note on their first day of school because they may have been a little nervous. In is always nice to be reminded that mom and dad are thinking of them! The Unicorn lunch box not is magical, colorful and a great way to let them know that they are special! 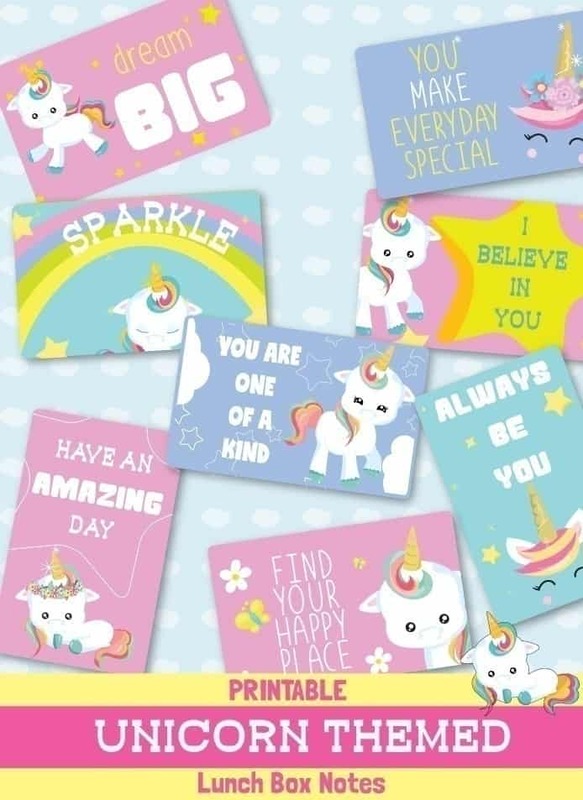 Just click on the photo below for these adorable Unicorn themed lunch box notes.